Our precocious Pride of the Easter Bunny Wreath will have you in the Easter spirit in no time. This fanciful wreath has so many charming eggs assembled together on one wreath that the Easter Bunny himself couldn’t envision a better way to showcase his finest of Easter eggs! This abundant Easter egg wreath is built upon a base of compressed straw and covered with Spanish moss for added depth. 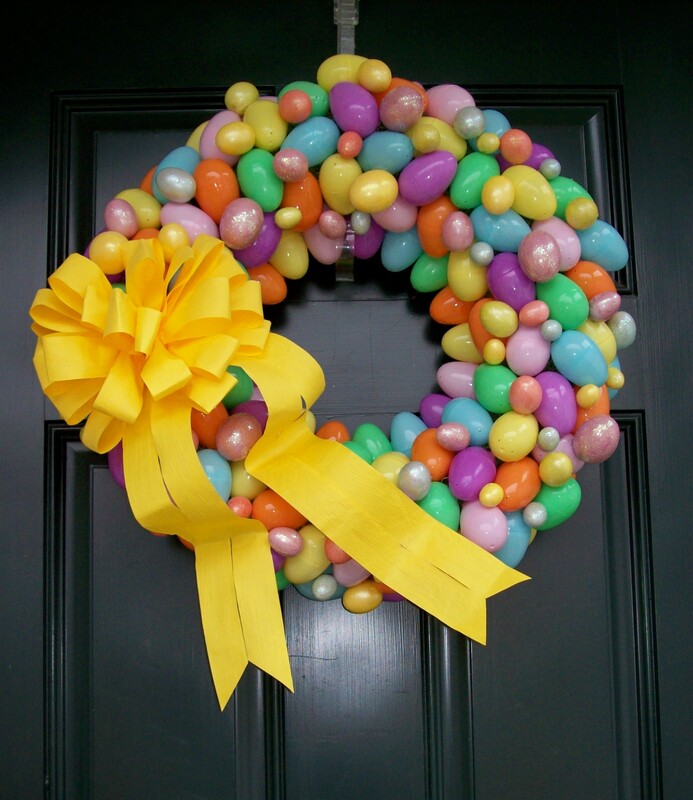 To give this wreath its’ most distinctive attribute we tried to add more vibrant plastic Easter eggs in varying sizes than one can count; resulting in our most captivating colored wreath design to date. This vivid multi-colored wreath would not be complete without the addition of a larger than life bow colored appropriately in chick-a-dee yellow and the result is sheer Easter bliss! Delight yourself and your guests with this precocious Pride of the Easter Bunny Wreath. Once you hang it on your door, don’t be surprised if you hear a distant call to start skipping down the bunny trail. Why not purchase a pair and display them side-by side for a dynamic decorative egg duet! Don’t forget to shop our entire collection of spring selections for more perfect spring additions for your home!